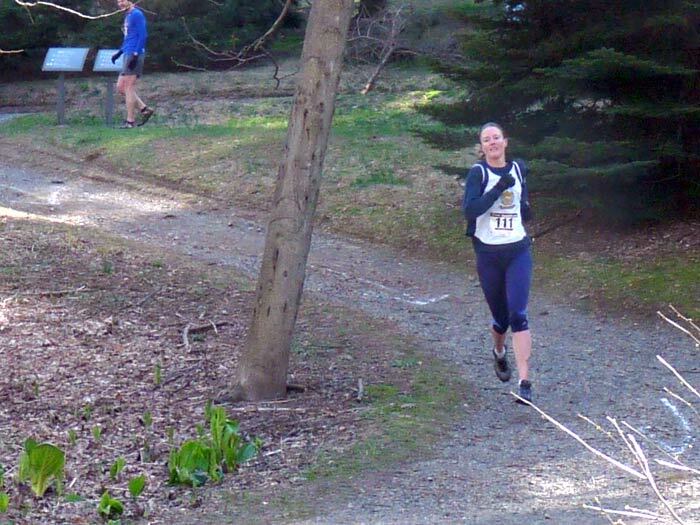 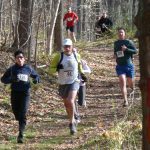 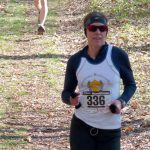 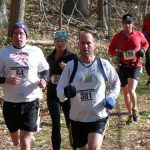 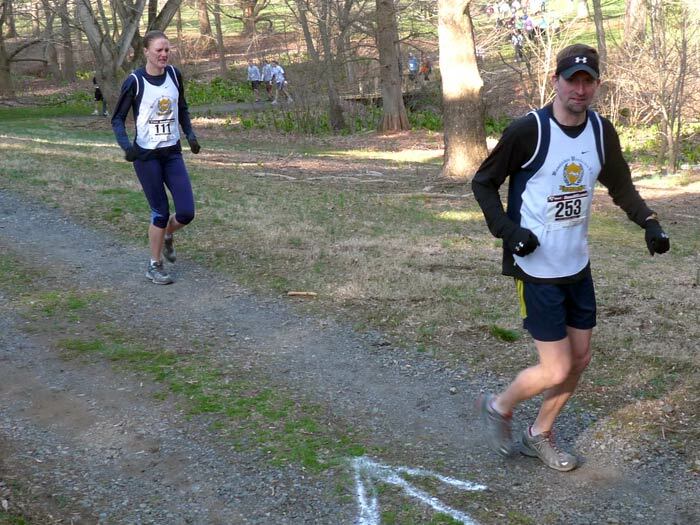 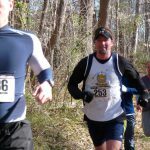 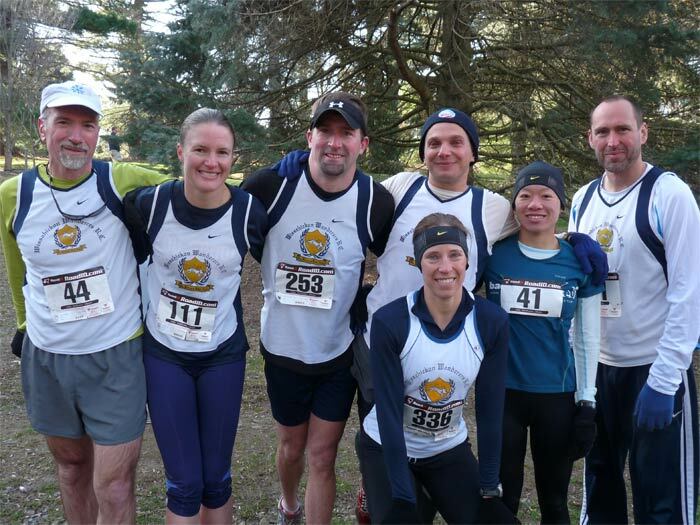 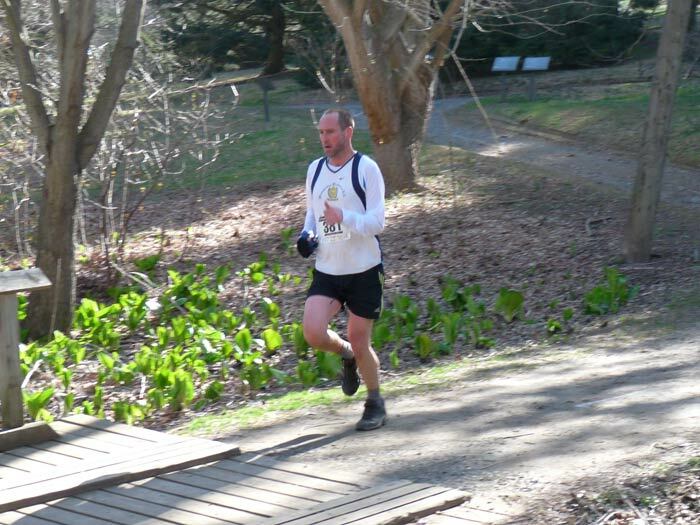 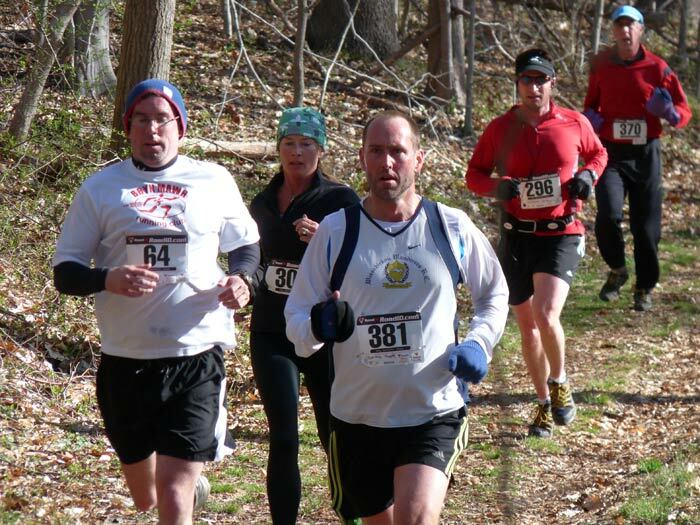 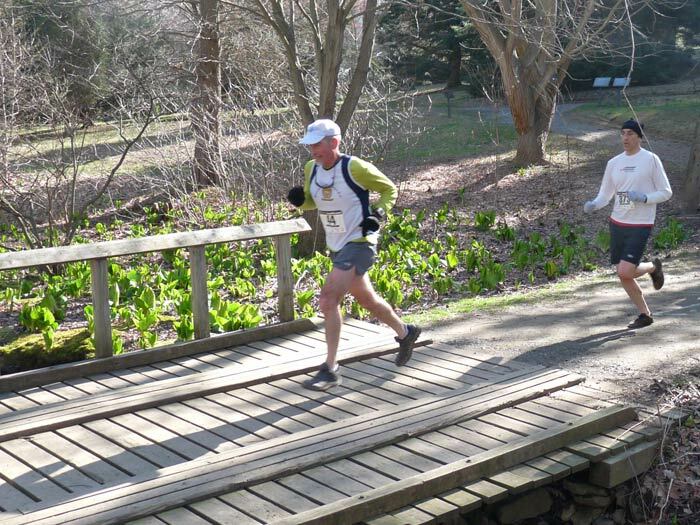 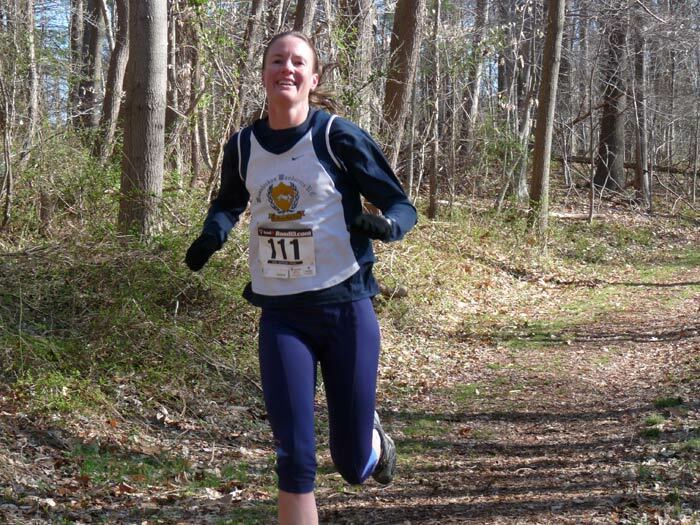 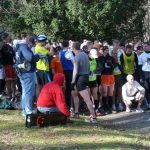 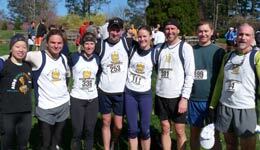 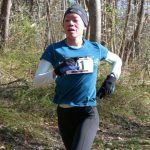 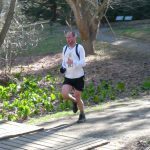 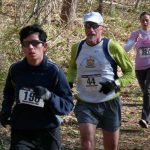 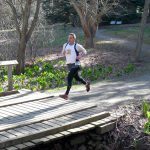 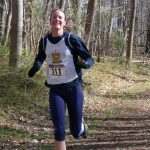 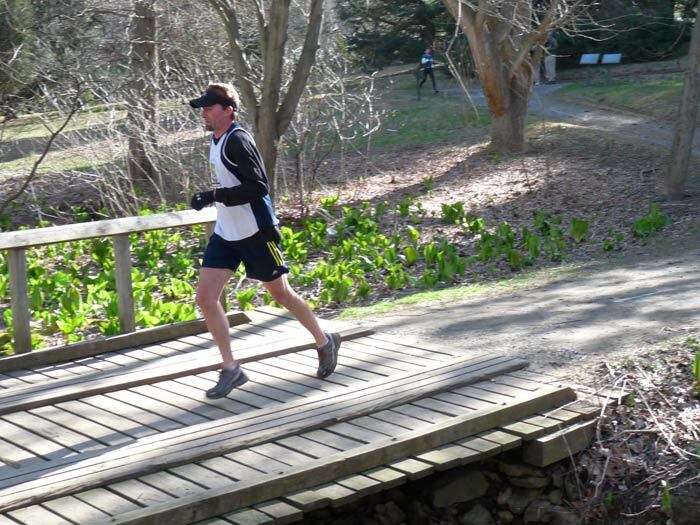 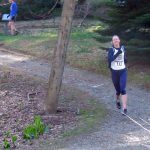 On Saturday, March 27th, 2010 a team of 9 Wanderers took on the fan-favorite Tyler Arboretum 10k trail race in Media, PA. 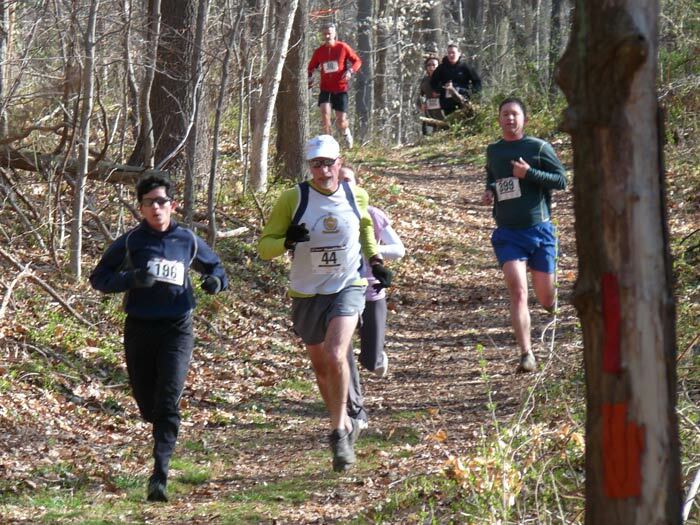 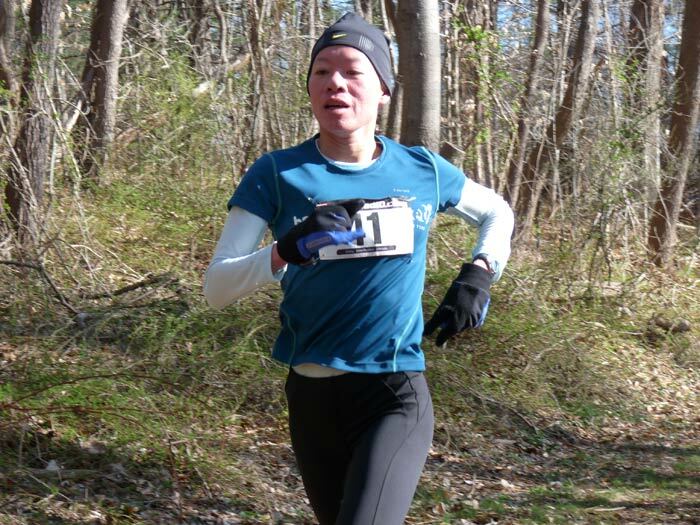 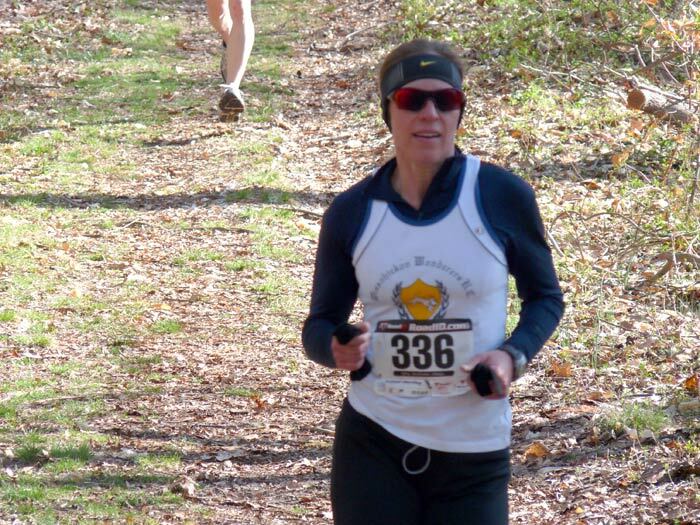 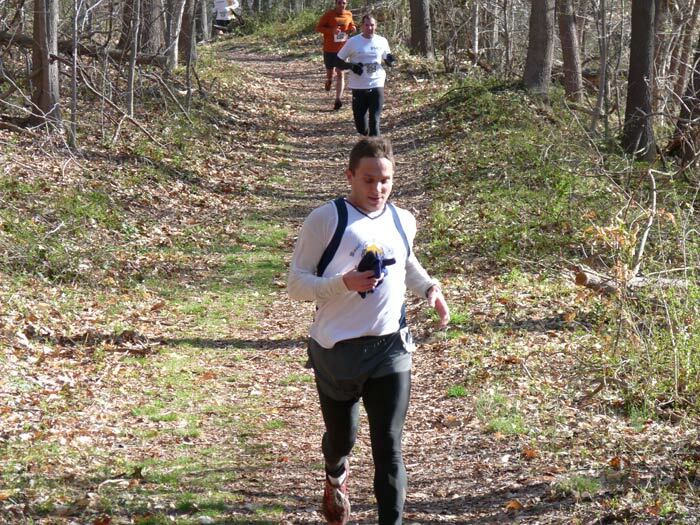 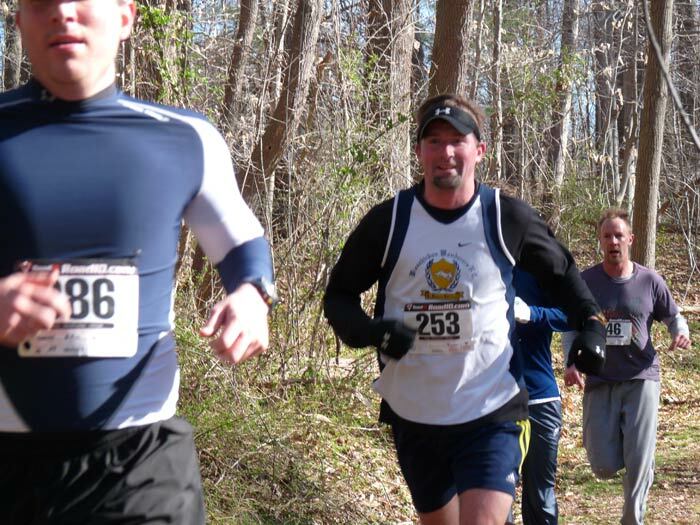 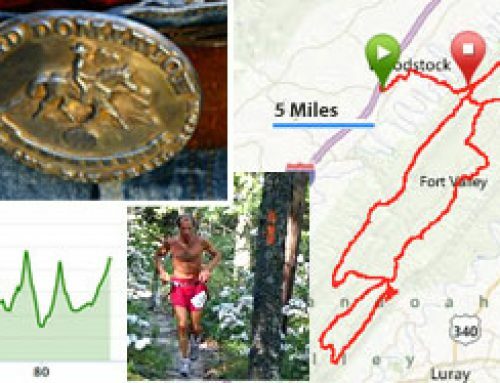 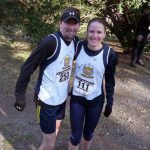 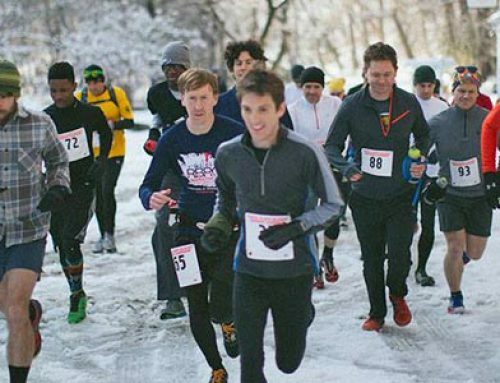 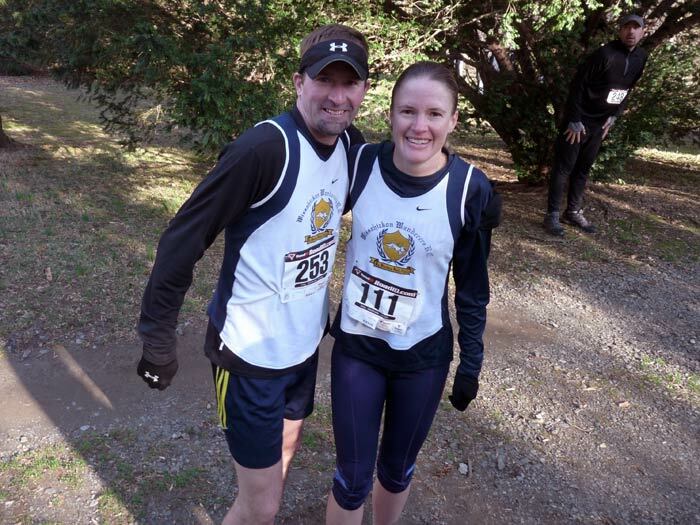 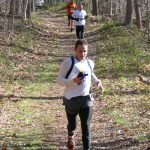 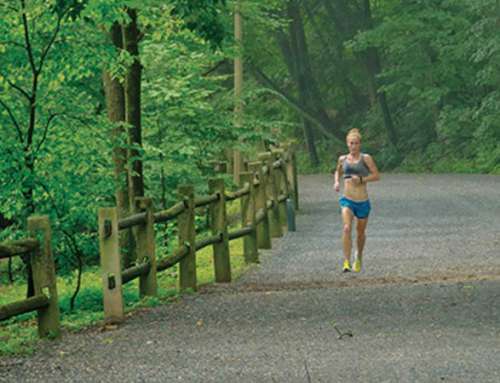 This was the 2nd race in the USATF Off-Road Series that the Wanderers are participating in. 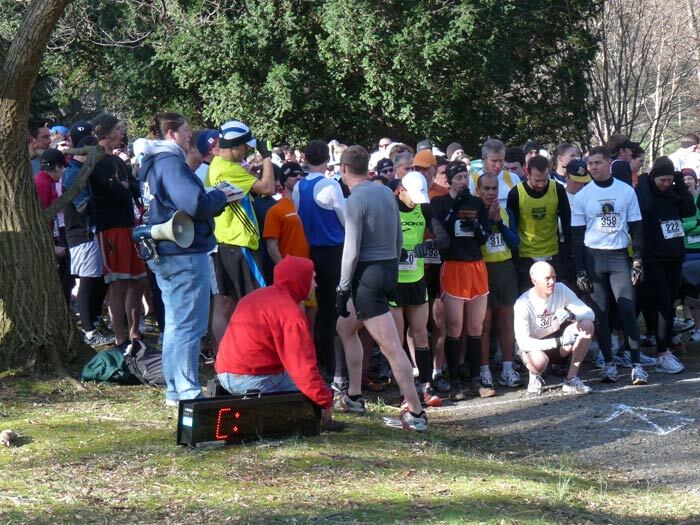 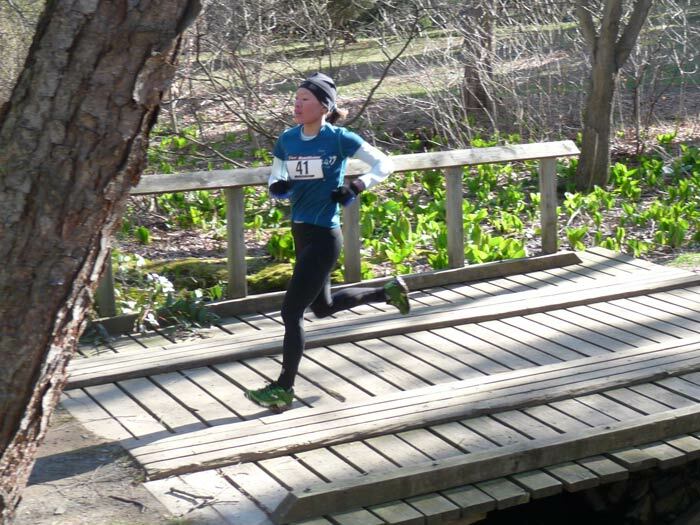 Though bright sunshine greeted the runners, temps were only registering in the mid 30’s at the start. 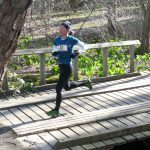 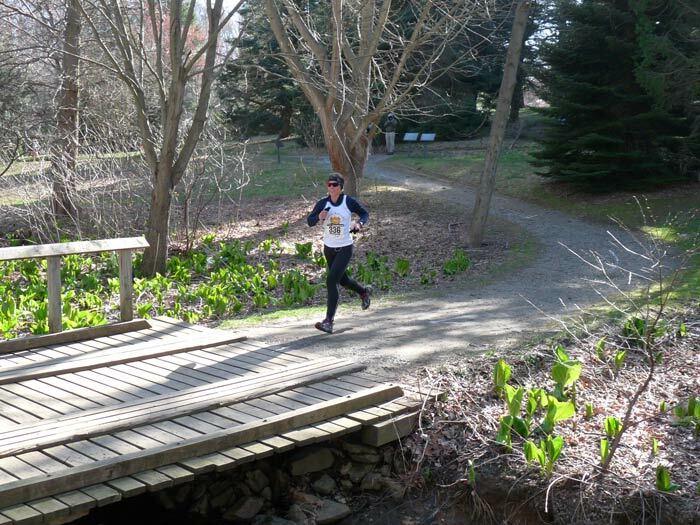 Noah A. had been tossing and turning the night before, lamenting that the 4 creek crossings on the course were going to be REAL creek crossings this time due to all the spring thawing and recent rain. 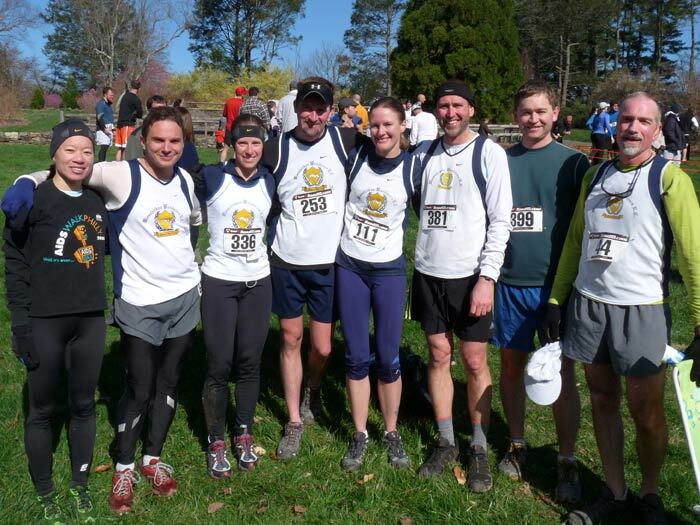 But no matter, with the last race seeing runners plow through snow drifts (Ugly Mudder), the Wanderers were more than up for the hilly challenge. 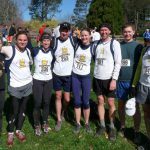 Not only did they meet that challenge, but they punched it in the face and left it in the creek! 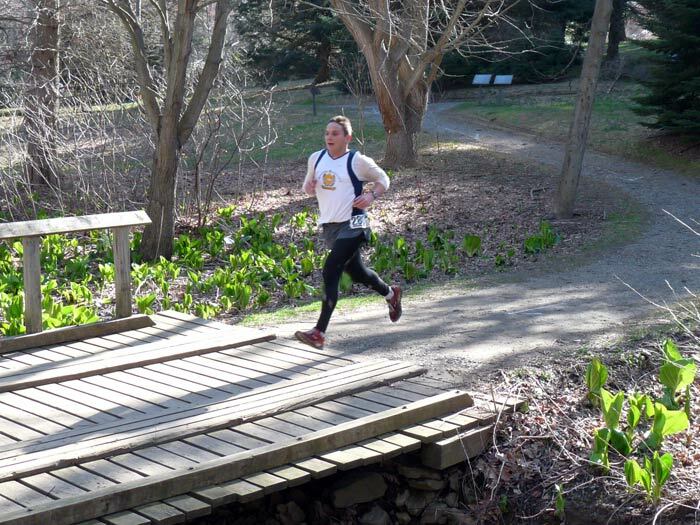 Special “kudos” go out to newcomer, Tyson Smith who turned in a stellar debut performance for the Wanderers! 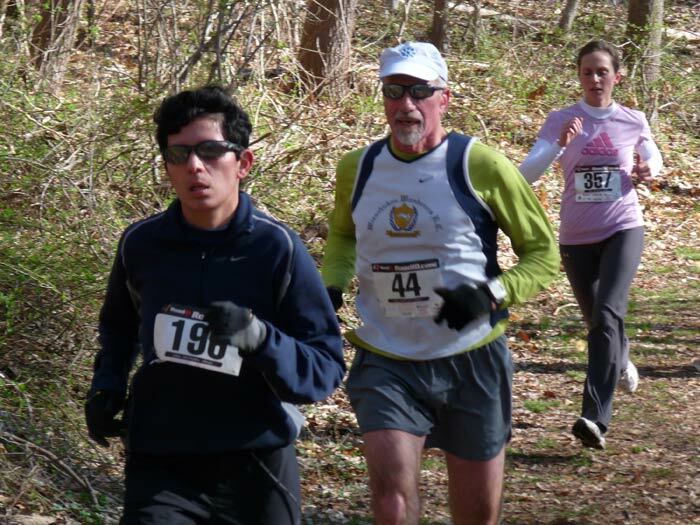 Also to birthday-boy, Randy Clever who graduated into a new age group this month and said, “Is that all you got?” to his competition as he left them in the dust! 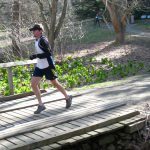 And a BIG thank you to Christian Mongrain for his support of the Wanderers out there on the course and the awesome action photos he captured (below). 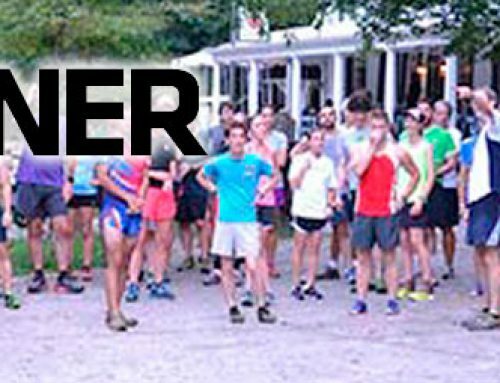 Way to go, everyone!